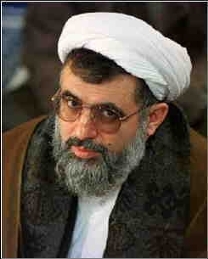 One of the most wanted criminal in Islamic Regime.. Fallahian.. In the course of the twentieth century, a new form of Islam arose, one that now has great appeal and power. Militant Islam (or Islamism�same thing) goes back to Egypt in the 1920s, when an organization called the Muslim Brethren first emerged. One other strains is form of Islam who Shi'it clergies invented. Largely formulated by descendent of Ali 4th Imam. Ayatollah Khomeini's formulation and Taliban in Afghanistan under Osama bin Ladin both is new Militant form of Islam. Islamism differs in many ways from traditional Islam. It is faith turned into ideology, and radical ideology at that. Islam likewise other religions should be a personal belief system that focuses on the individual; Islamism is a state ideology that looks to the society. 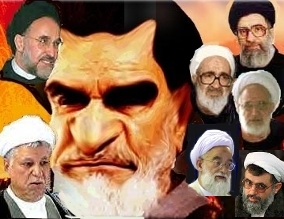 Militant Islam, which one form of it was formulated in Iran of "ayatollahs" ordered many killing. The above picture belongs to Fallahian, during his ministry at Ministry of Information many serial killing took place. Many intellectuals, including Darioush and Parvaneh Forouhar were killed, the killer or killers never tried and justice never served.